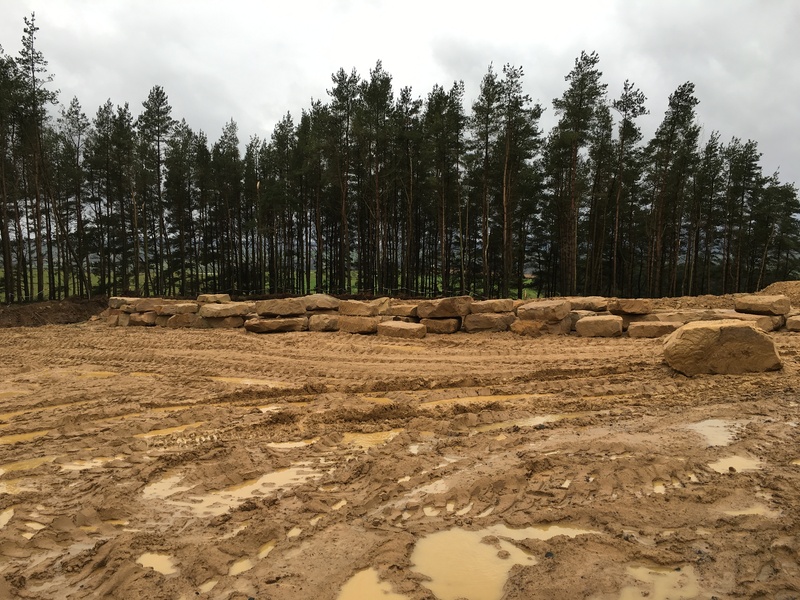 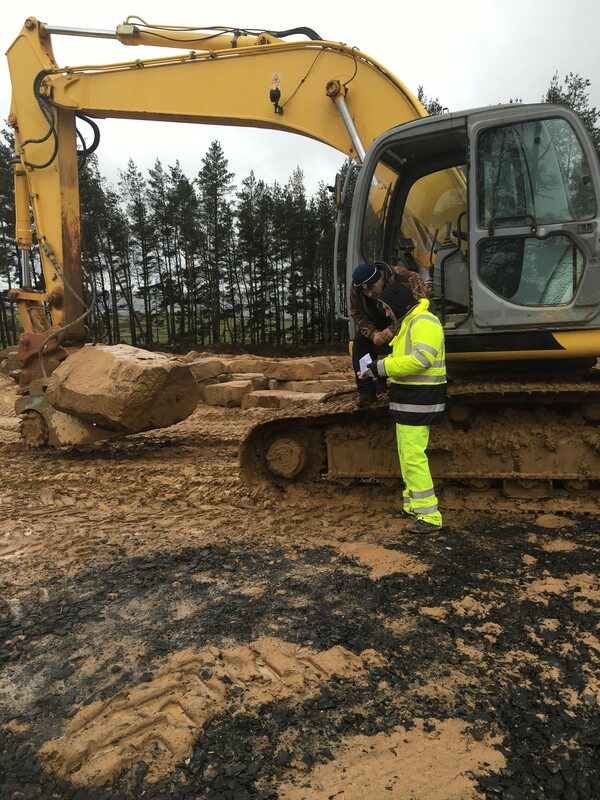 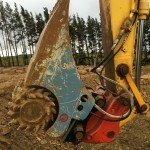 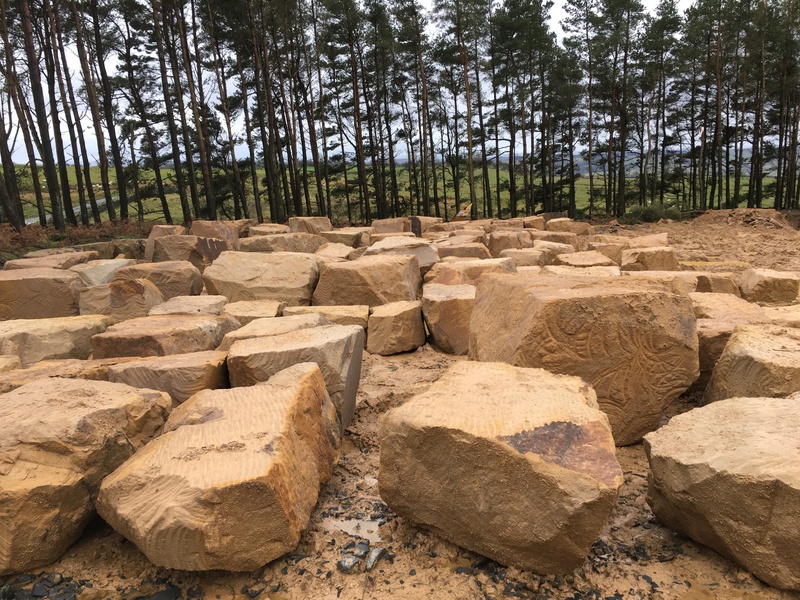 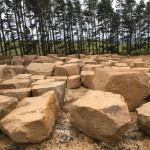 Just before Christmas and the New Year we went up to visit Robert at Borderstone Quarries to talk about developing the Rockwheel Cutter Bucket. 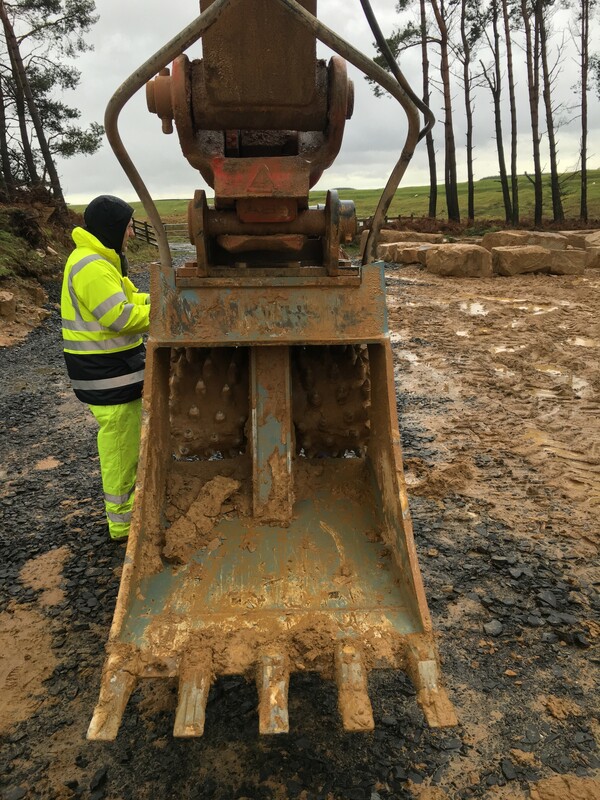 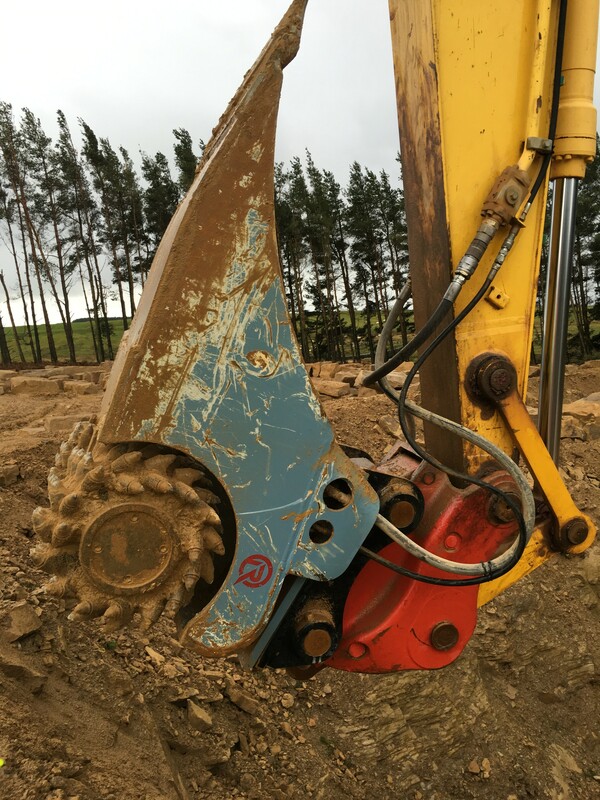 Following on from our last visit, the new modified cutter bucket has had it’s overall height reduced to decrease the rigidity when cutting, the housing is now curved and also features longer, curved teeth and this makes it much easier when handling the rocks. 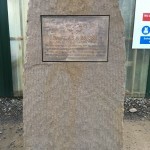 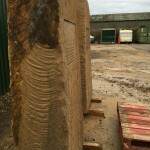 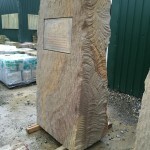 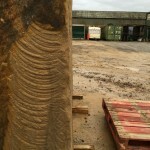 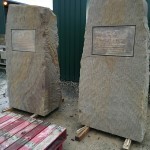 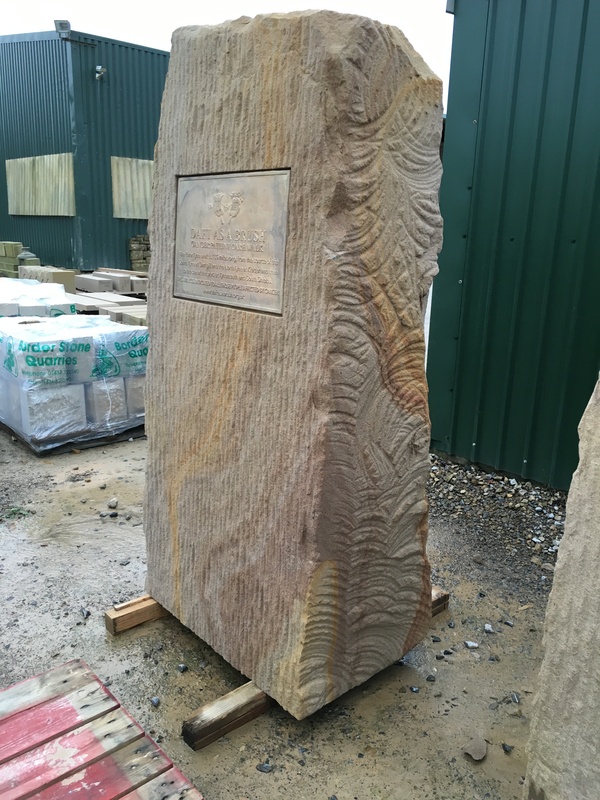 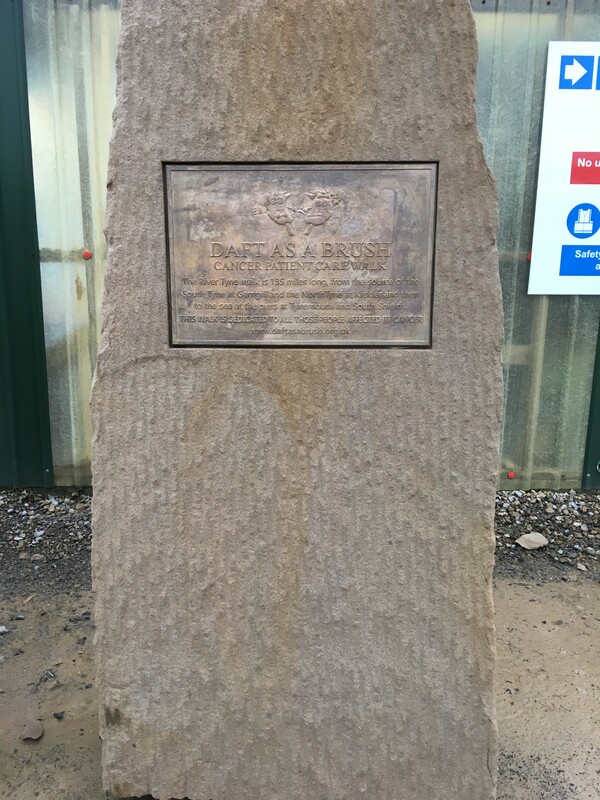 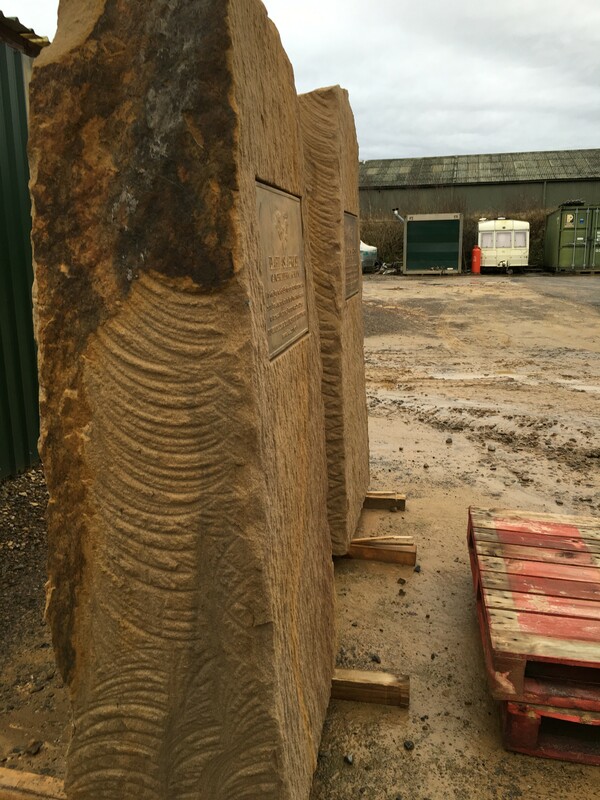 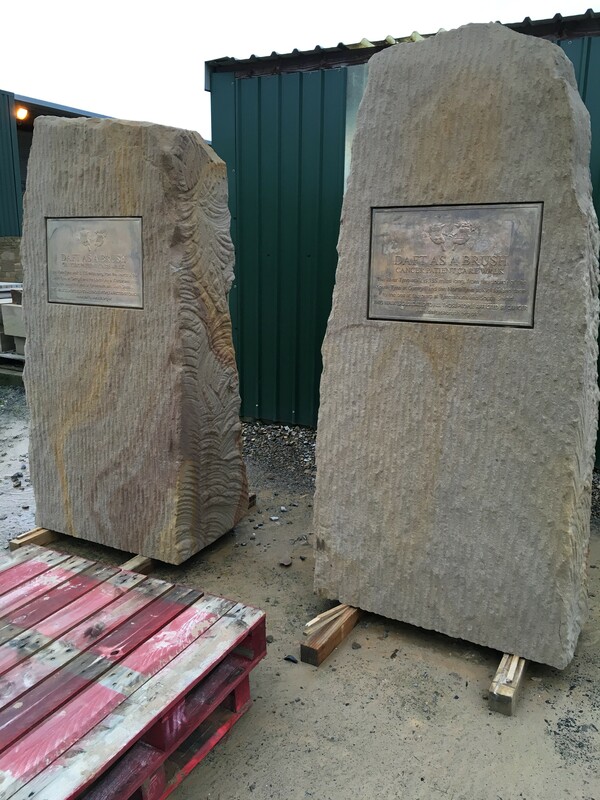 The local council got in touch with Robert because they really liked the unique finish that was left on the stones by the picks on the Rockwheel, they wanted to use 2 stones as ‘Obelisks’ at the start and finish of the 135 mile River Tyne Walk which is dedicated to all people affected by Cancer. 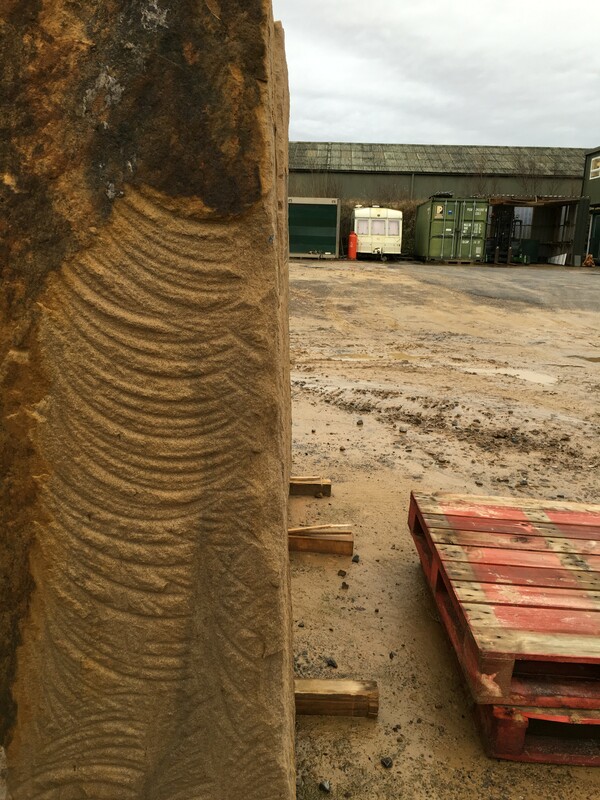 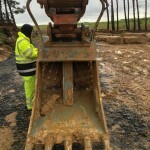 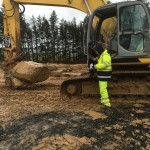 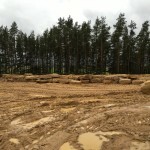 This is a great example of what can be achieved with a Rockwheel.